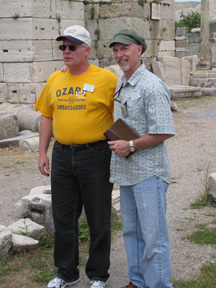 Click here to go to the "Home Page"
"In the Footsteps of Paul"
Both the 2009 and 2012 trips featured sites visited by the Apostle Paul on his three mission trips. You can't get any closer than this unless you go there. Watch the VIDEOS, as it's the next best thing to being there. "The Seven Churches of Revelation"
May 17 - May 31, 2009. Click on the Day Notes Date for that page. include pictures and the video from the 2012 trip. Come follow us in the footsteps of Paul. The very top webpage pictures are of biblical locations still in existence where Paul walked and depending on the guide - the possible steps of a synagogue in Ephesus, Turkey; the Via Egnatia, in Philippi, Greece; the Areopagus (Mars Hill) Athens, Greece; the streets of Corinth, Greece; and the Mamertine Prison, Rome, Italy. 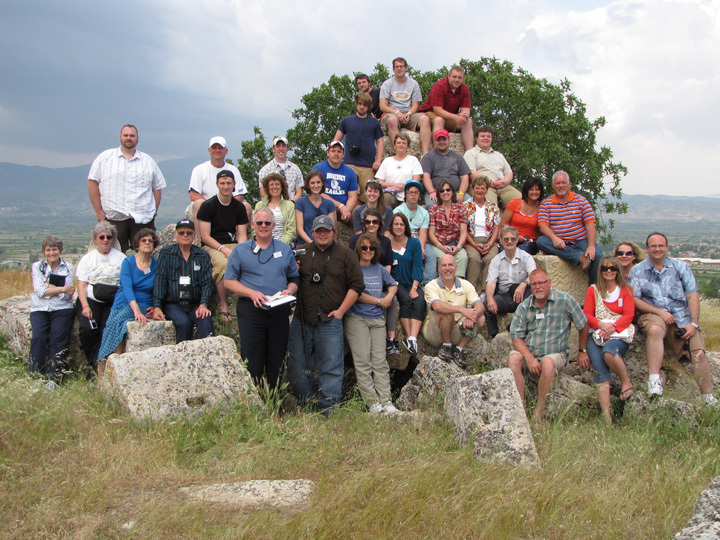 The 2009 tour was about discovering the Seven Churches in Revelation and how they were part of Paul's mission tour. While the churches in Revelation referred to the people/christians as the church ... there were and still are standing church buildings in some of the existing cities and archaeological sites of today. 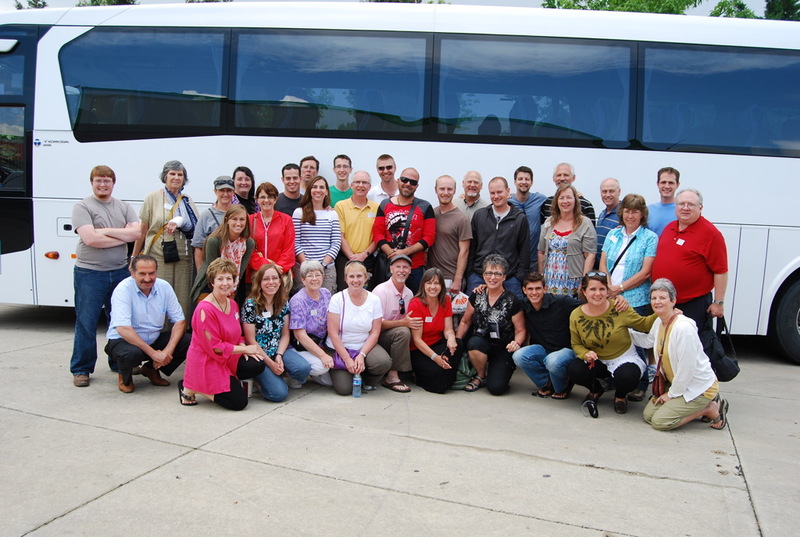 Other pictures of both trips will be featured throughout the pages of this site. 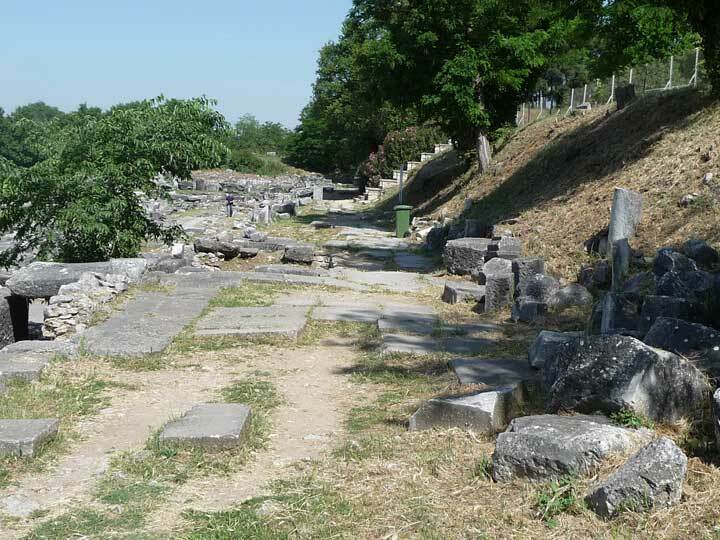 The Via Egnatia was especially nice to be walking on and it was just as nice the second time as it was the first. 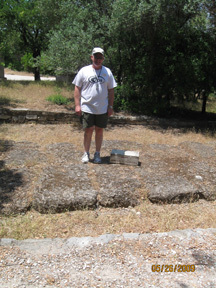 If you stepped on enough of the original stones ... well, you truly could step on a stone that Paul and other disciples had walked on. We were 1900 plus years too late to meet with them, but this was the next best thing. By reading Paul's words and then being there, brought a whole new appreciation for his travels and to his words . Awesome! Phillip II, Alexander the Great's father and a Sunday Church service at the river where Lydia was baptized, to name two. The pages to the right will give you a brief view of what we saw in pictures. Check out the video pages for the days to see the video for the day. Day 2 - Rome Airport to Istanbul Turkey. 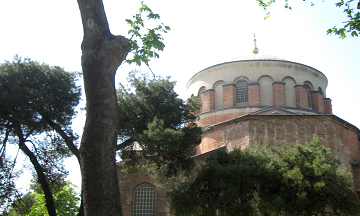 Visit - Topkapi Palace. Day 4 - IZMIR, Visit - Site of Polycarp's death and the Church. 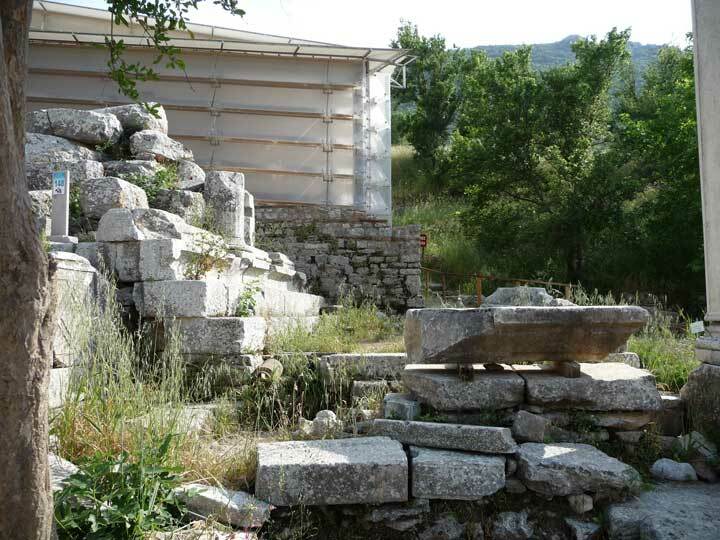 SARDES, Visit - Temple of Artemis (Diana), Byzantine church, restored Synagogue and Gymnasium/school. ALASEHIR/Philadelphia, Visit Philadelphia city gates. 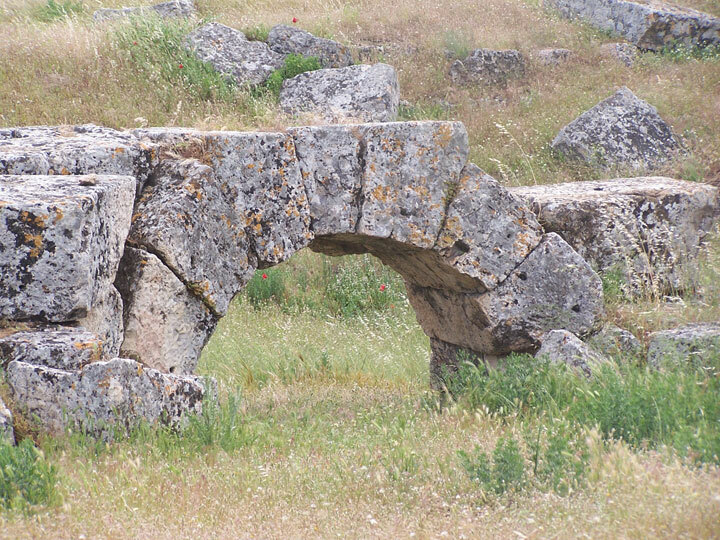 LAODICEA - Visit archeology site. 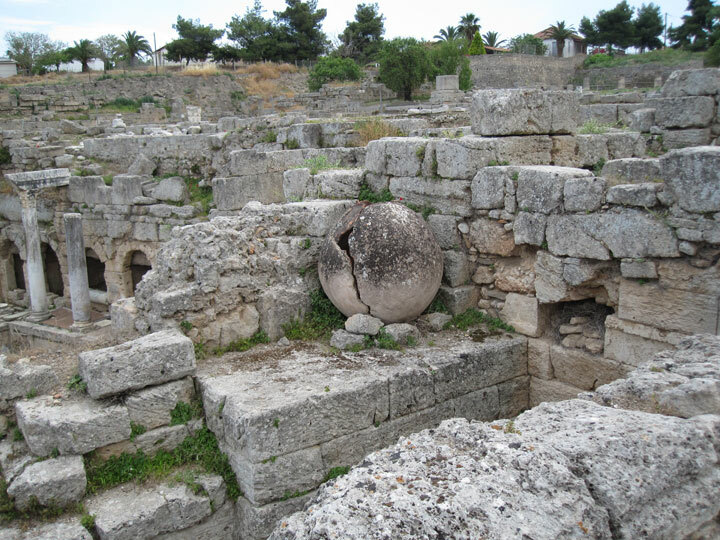 Day 5 - Visit HIERAPOLIS, ancient thermal center. 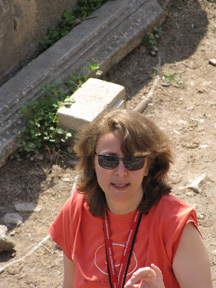 EPHESUS - Visit Church of St. John, Walk the ancient city streets, Visit the House of Mary Chapel in the hills. Day 6 - KAISER/Thyatira, Visit city of Jezebel. 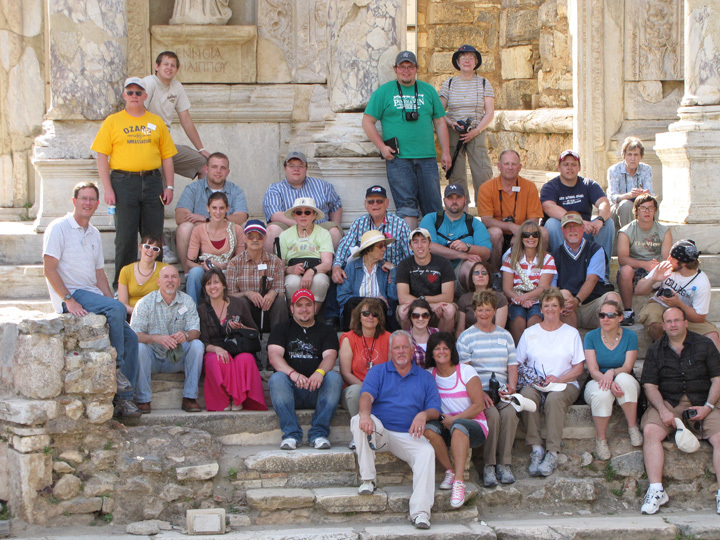 PERGAMUM, Visit the Acropolis, Altar of Zeus, Citadel, Trajan temple, and steepest amphitheater. Visit the Aesculapuim, a center of healing. Drive by Assos. 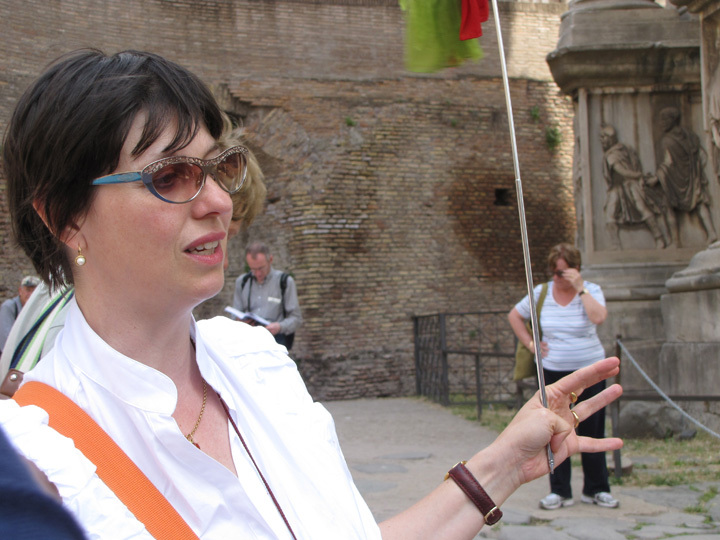 Day 7 - TROY - Visit the archaeological site. DARDANELLES - Cross by ferry. Day 9 - Thessaloniki, Veria also known as Berea where a monument stands for the Apostle Paul. 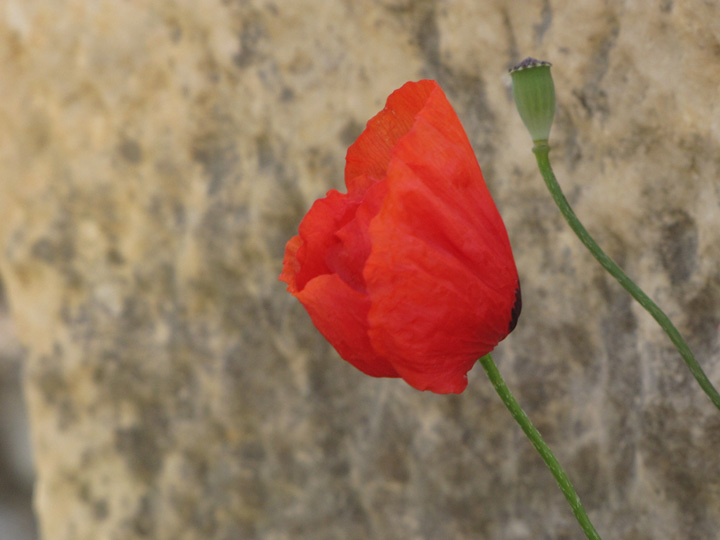 See Amphipolis and Apollonia. Metora, home to monasteries in the sky, visit St. Barbara for women. Day 11 - Athens, home of the Olympic Stadium. 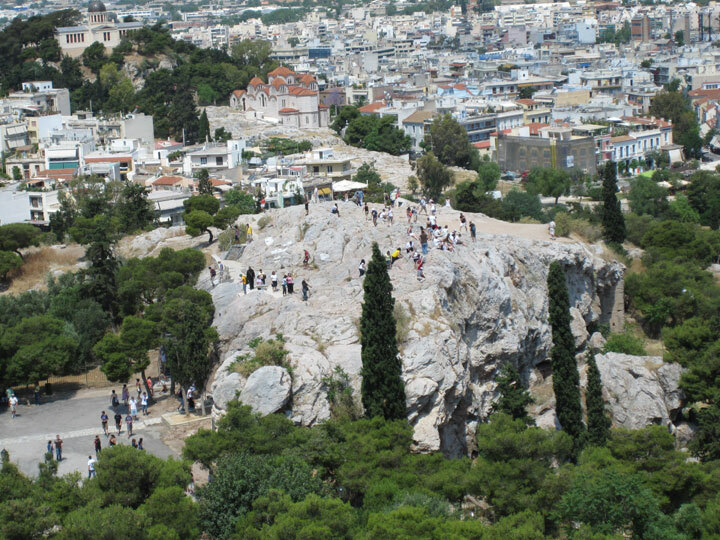 Visit the Acropolis and Areopagus where Paul met with the men of Athens. 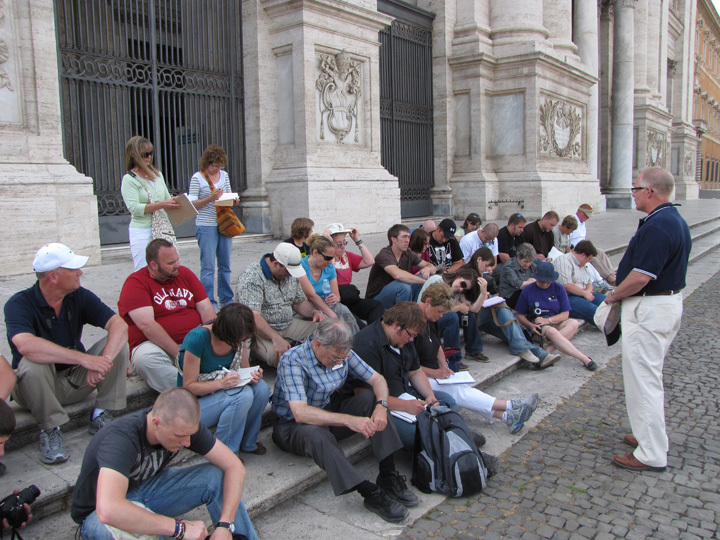 Day 13 - Rome, Colosseum, Vatican City, Mamertine Prison where Paul spent his last days. 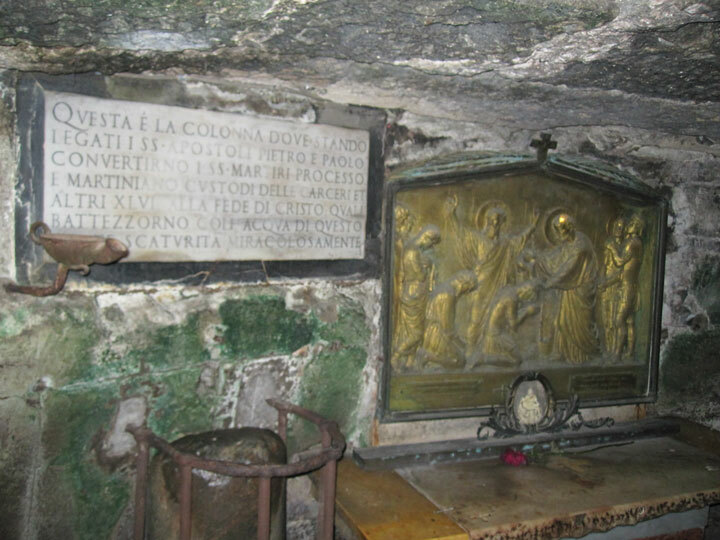 Day 14 - Rome - St. Paul, , Catacombs, burial place of Paul. Day 15 - Rome to Chicago. 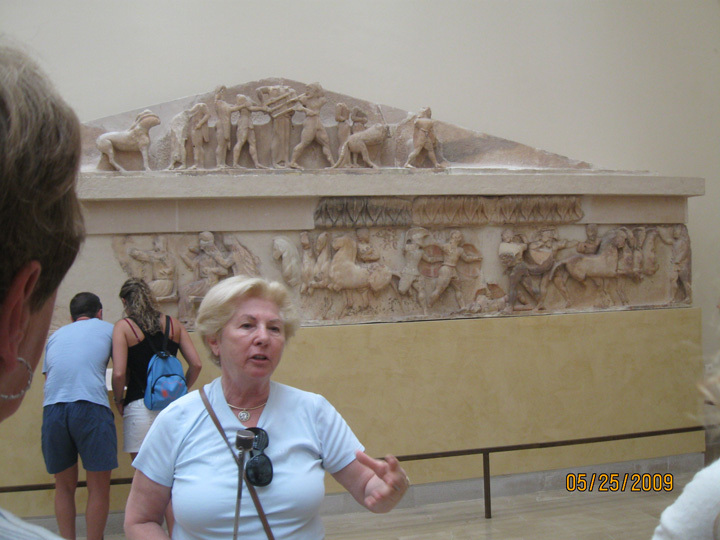 Tour Group pages include casual pictures of those on the tour. Note: If you find something or someone mislabeled - misspelled, or not working please contact me at linda@biblestudyforkids.com. As a human endeavor, it's not perfect.